If you’re looking for some easy recipes for the keto diet, then you will really enjoy these 25 keto instant pot recipes. If you’ve been finding meal time a bit of a challenge since starting keto and you’re a busy person who wants this to work, but also wants convenient meal ideas, then you’re int he right place. Many people’s life revolves mainly around food when they first start the keto diet. I for a fact experienced this. You wake up and think of what you’re going to eat and go to sleep thinking of what you’re going to eat as well. Not because you’re greedy either, simply because keto living can be a little overwhelming because of all the things you can’t eat. And, it’s very hard to resign yourself to eating the same thing over an over again. However, it’s also not feasible to be making all the lovely keto recipes you keep seeing online because well…you’re a busy person. If this is you at all, then these low carb instant pot recipes will be perfect for you. 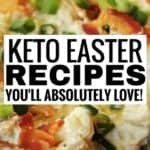 These meals will help you enjoy a variety of delicious keto recipes but you’ll significantly cut down on food prep time! The instant pot is an appliance that does it all! It is a Pressure Cooker, Slow Cooker, Rice Cooker, Yogurt Maker, Egg Cooker, Sauté, Steamer, Warmer, and Sterilizer wrapped in one convenient package. If you’re interested in making quick and easy meals, this appliance is your best bet! How does it work for the keto diet? We’re all busy, and cutting time on meal prep is something that everyone can appreciate. Particularly for the keto diet where some meals may be more difficult to pull off or you may need to work with extra ingredients or perform extra steps to make the recipes taste awesome. An instant pot and some delicious low carb instant pot recipes will feel like a miracle! When it comes to simple and delicious dinner recipes that are keto friendly. these keto instant pot pork chops are where it’s at! You can make this recipe for your family to enjoy while staying below your macros and saving time in the kitchen! Win, win and win! Missing lasagna? You don’t have to anymore! 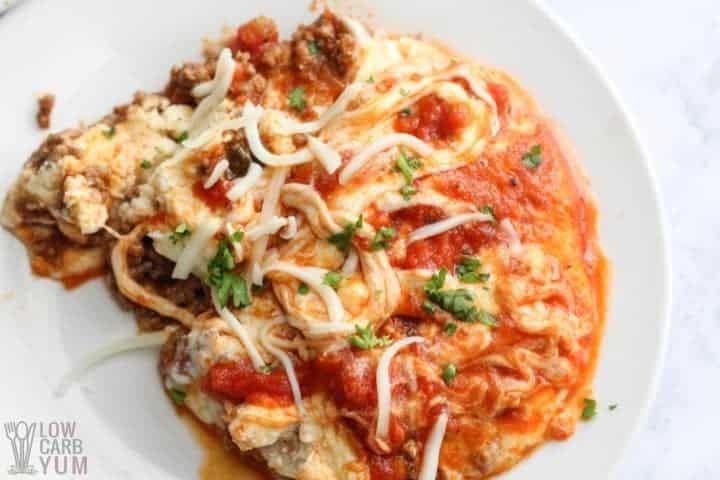 This easy to make no noodle instant post lasagna is keto friendly, yummy and exactly what you need after a long day. Relax with a plate of this and indulge without any worries about carbs! 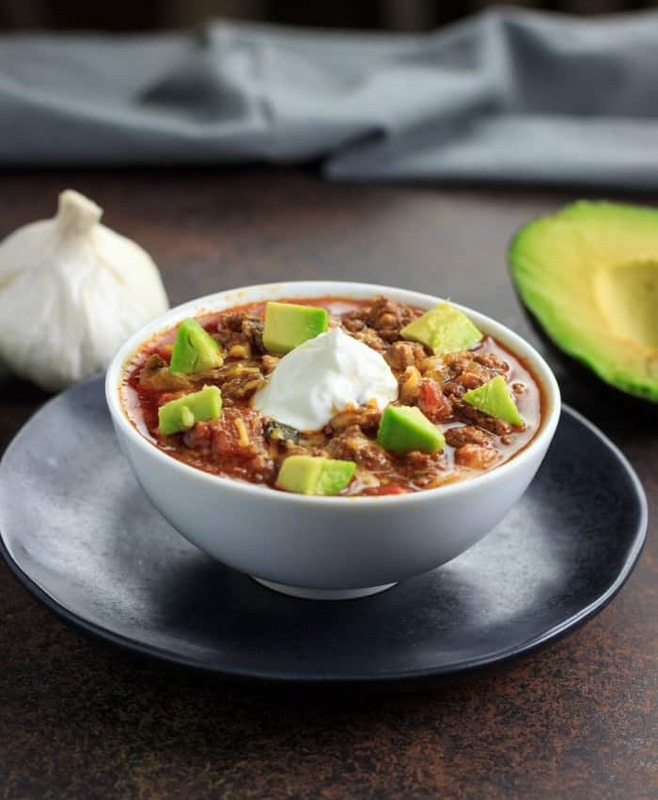 This instant pot low carb chunky chili recipe is exactly what you need to make you’re looking for an easy to make, savory and flavorful and comforting meal. 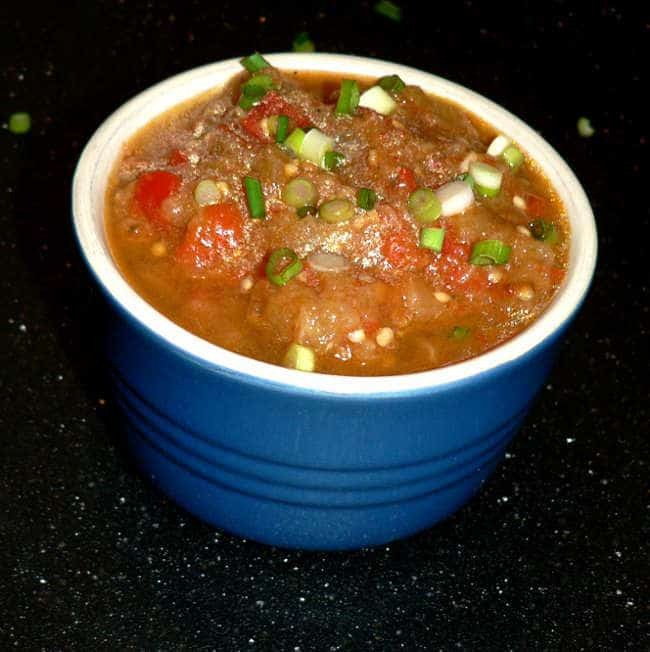 This recipe is loaded with low carb veggies, spices, and ground beef for the perfect keto chili. 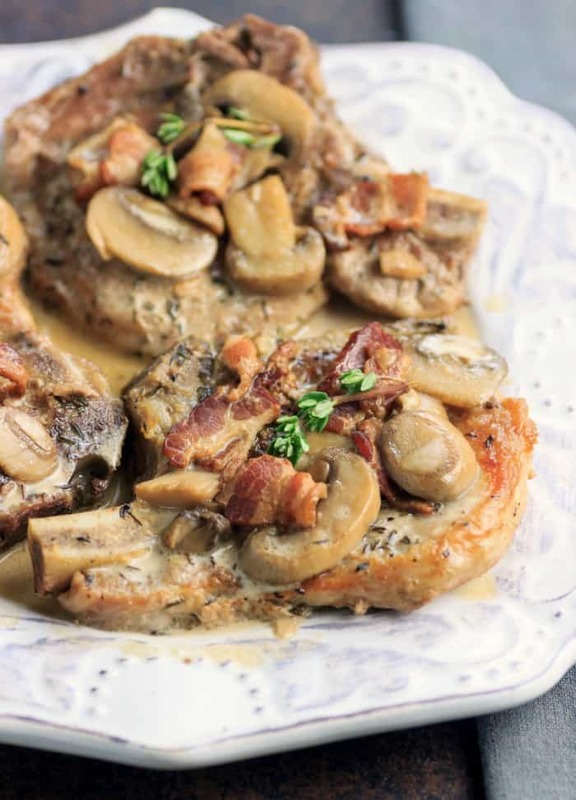 These tasty Instant Pot Keto Smothered Pork Chops will make the perfect low carb recipe that is succulent, rich in flavor and guilt free! Only on the keto diet can someone enjoy something like this while losing weight! 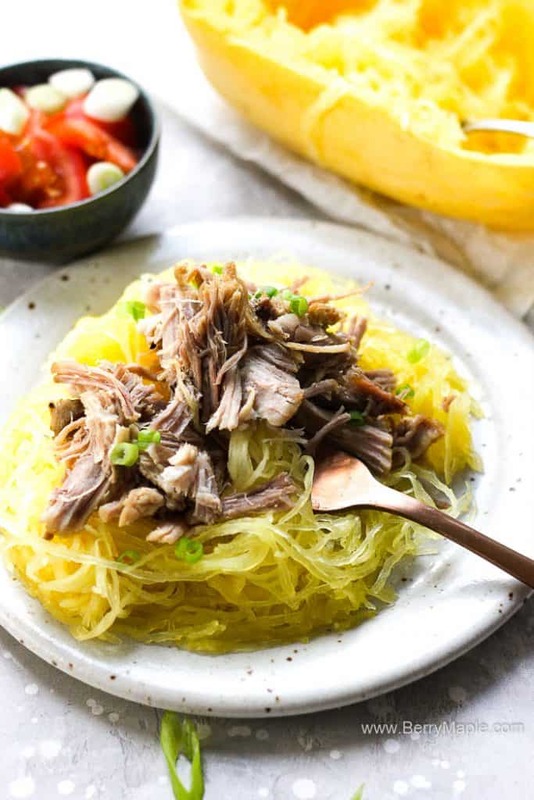 You can’t have regular spaghetti on the keto diet, but, you sure can enjoy this Instant Pot Spaghetti squash with pulled pork! It is an amazing combination for a full and flavourful meal with very little carbs. 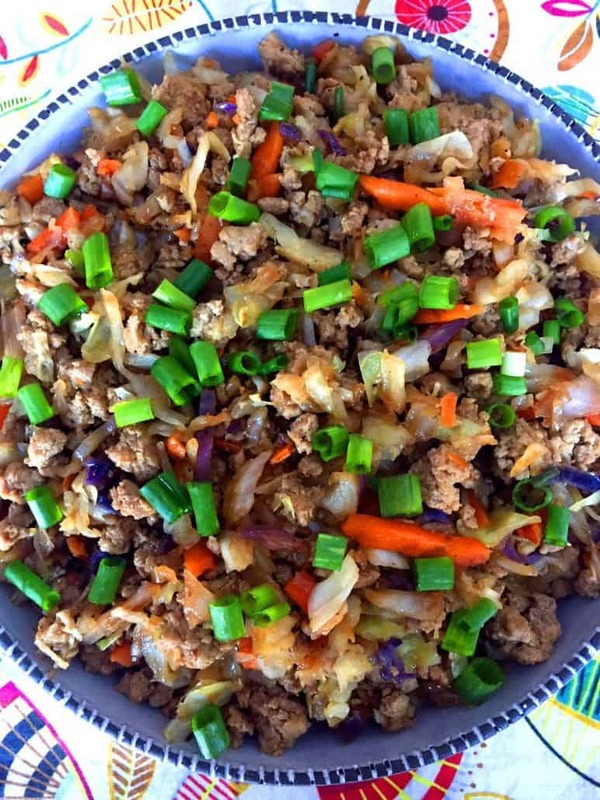 This keto egg roll in a bowl recipe is exactly what you want to make for a healthy dinner recipe for you and your family. The best part is this recipe is easy to make and can be ready quickly. 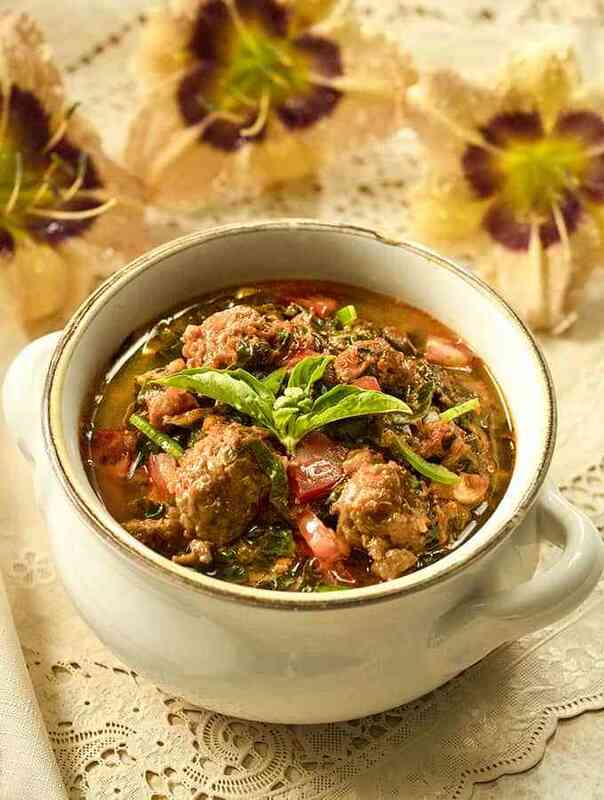 Have you tried this Low Carb Sausage Kale Soup? If you haven’t, now is the best time to try it out in your instant pot. 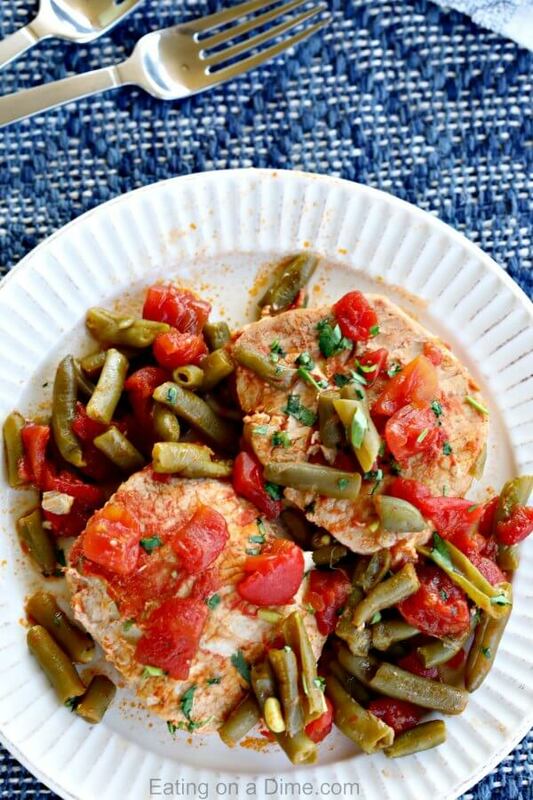 It is packed full of protein and flavor and makes the perfect low carb dinner! 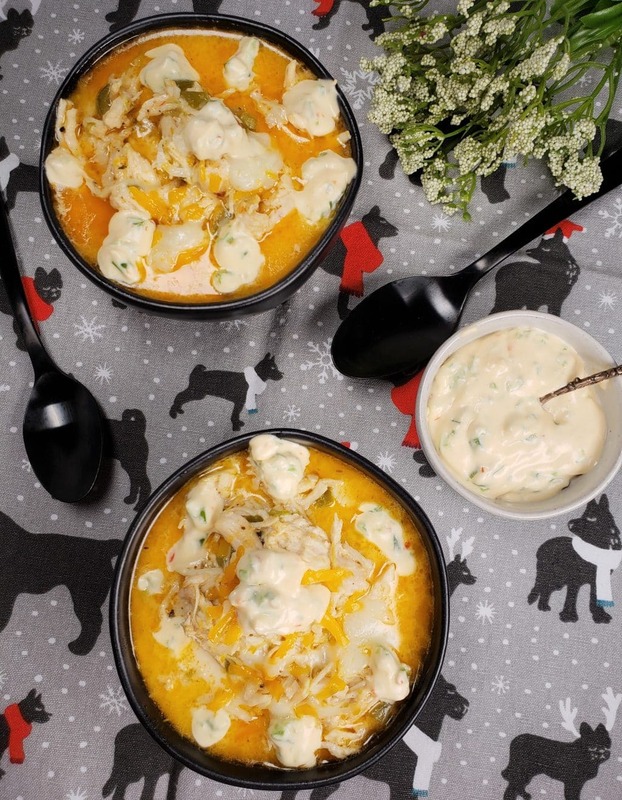 Keto soup has never tasted this good! If you’re looking for a comforting, creamy, slightly spicy keto instant post chicken recipe, these this one is a great choice. Serve this on a bed of lettuce for an amazing keto lunch or dinner that everyone will enjoy. Not only is this delicious, but it is also easily made in a pressure cooker to save you so much time! 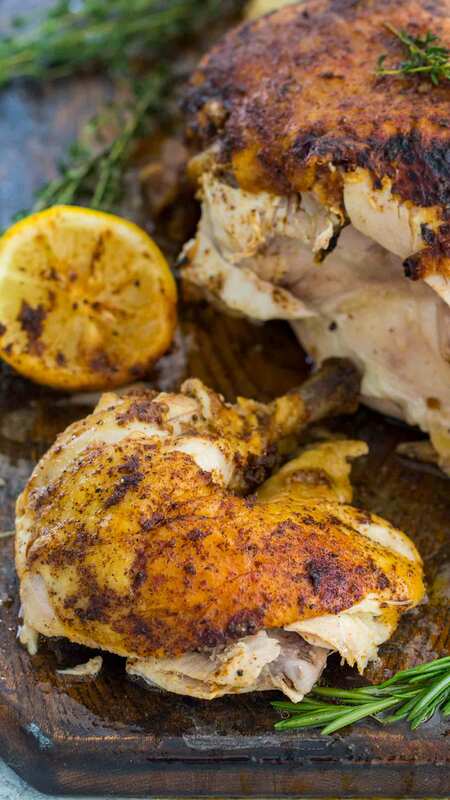 Looking for a quick and easy whole chicken recipe you can enjoy on the keto diet? This Instant pot whole chicken fits the bill. Plus, this recipe makes the most tender and juicy chicken recipe ever! This is another easy to make a yummy recipe you can serve for dinner. 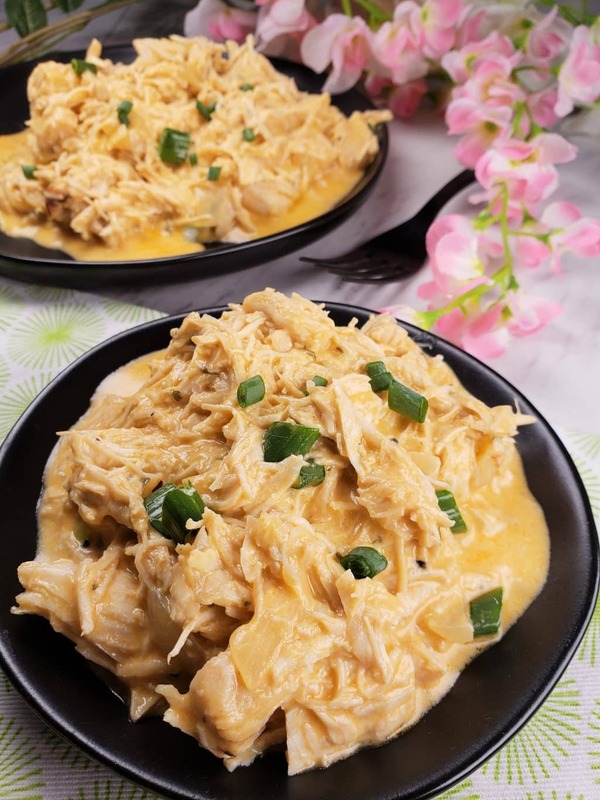 This creamy instant pot keto chicken recipe will only need six ingredients to make and can be cooked without any hassle in your Instant pot for a hearty family dinner! 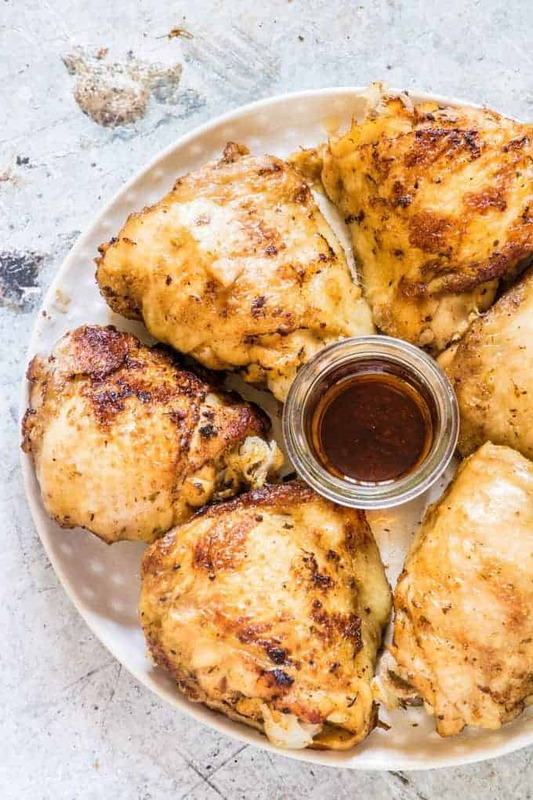 These delicious looking chicken thighs make a winning keto chicken recipe. If you’re looking for an easy dinner recipe after a long day, this one is what you should try out. 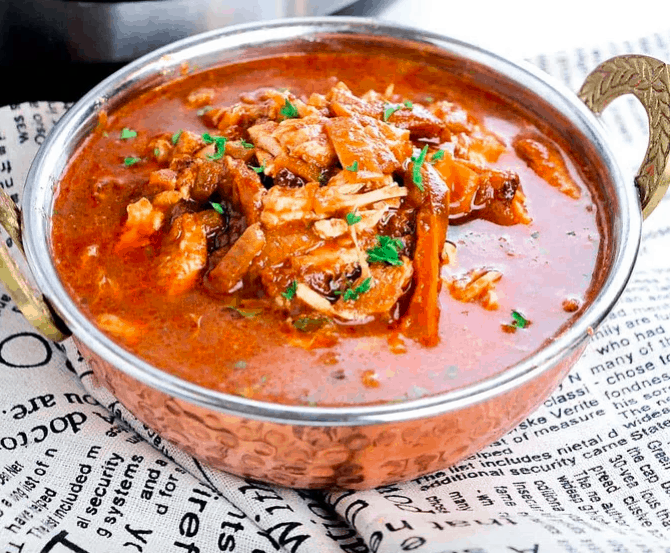 If you and your family enjoy chicken stew, then you will absolutely adore this tasty chicken stew recipe. Its easy to make, flavorful and is a dinner idea that everyone at the dinner table will enjoy on a cold night! Sometimes, you just miss cereal on the keto diet. 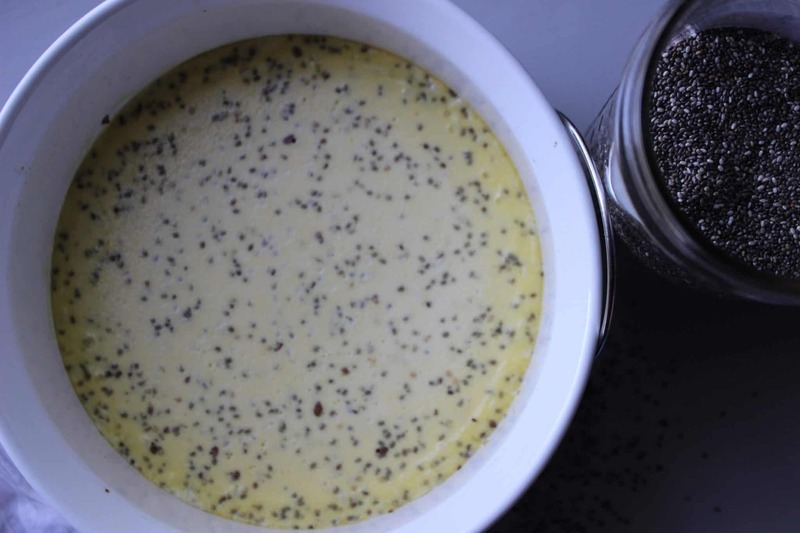 With your instant pot, you can try out this delicious noatmeal creme brulee and get the taste of a hot nutritious breakfast cereal once again. Eggs seem like a staple on the keto diet. 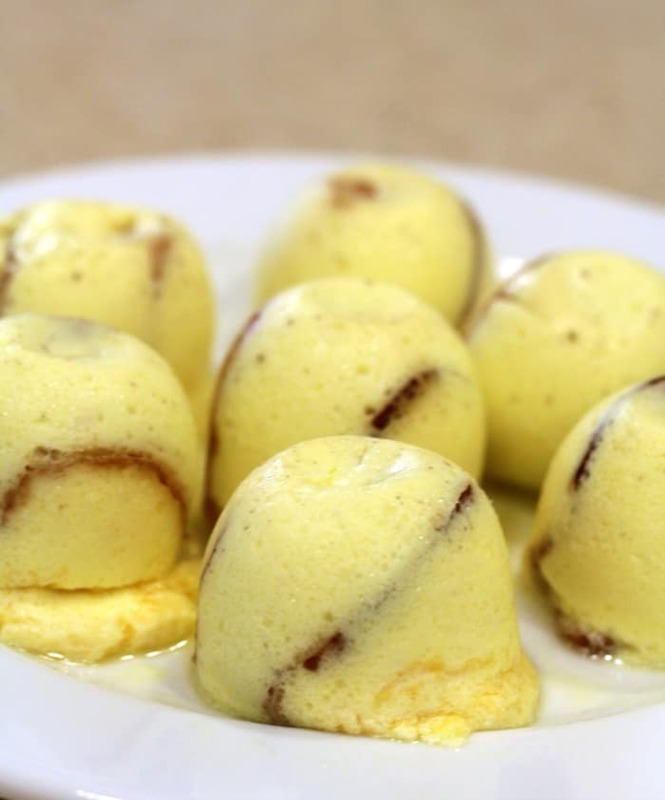 This is why we had to include this instant pot egg bites that you can enjoy for breakfast. They’re easy to make of course, but also make a very tasty breakfast food for days when you want something a little different. Try out these delicious looking cheesy keto super taco omelet made in an instant pot and enjoy eggs again for breakfast. 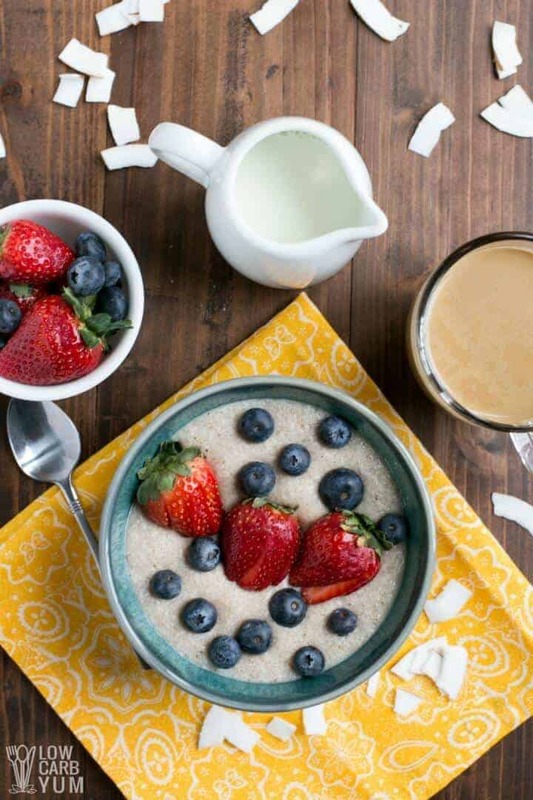 This coconut flavored porridge is the perfect hot breakfast recipe. It is easy to make, tastes so good and is perfect for chilly mornings. Some days you just want vegan options to reduce how much animal products you’re eating. 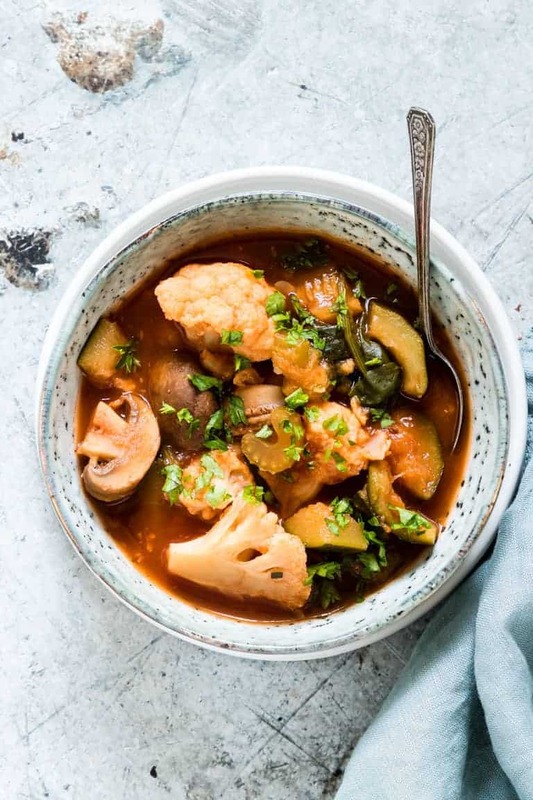 This easy vegan & keto friendly instant pot ratatouille is something you should try out. If you need a good detox recipe after the holidays, this keto and vegan Instant Pot detox soup recipe will be a great place to start. It is a quick, easy and nourishing soup recipe you can make for the entire family. 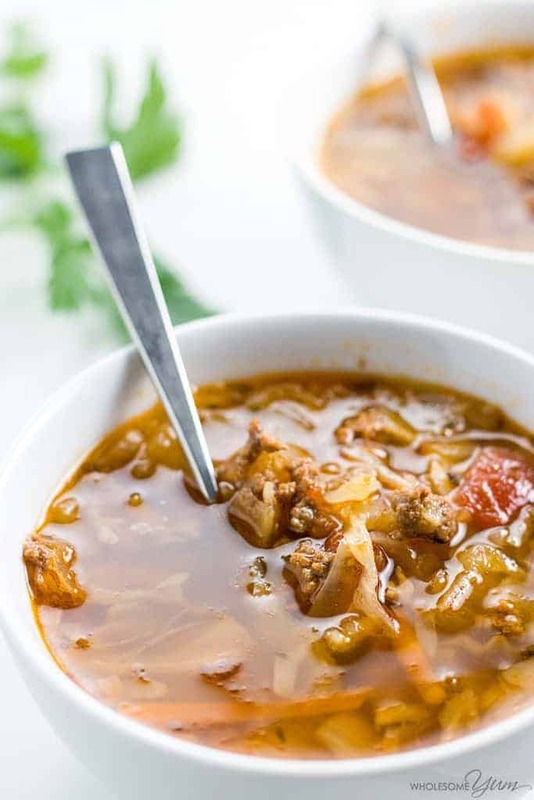 This cabbage soup with ground beef is a delicious keto recipe to serve your family. Not only is it low carb, but it is also healthy and easy to make. 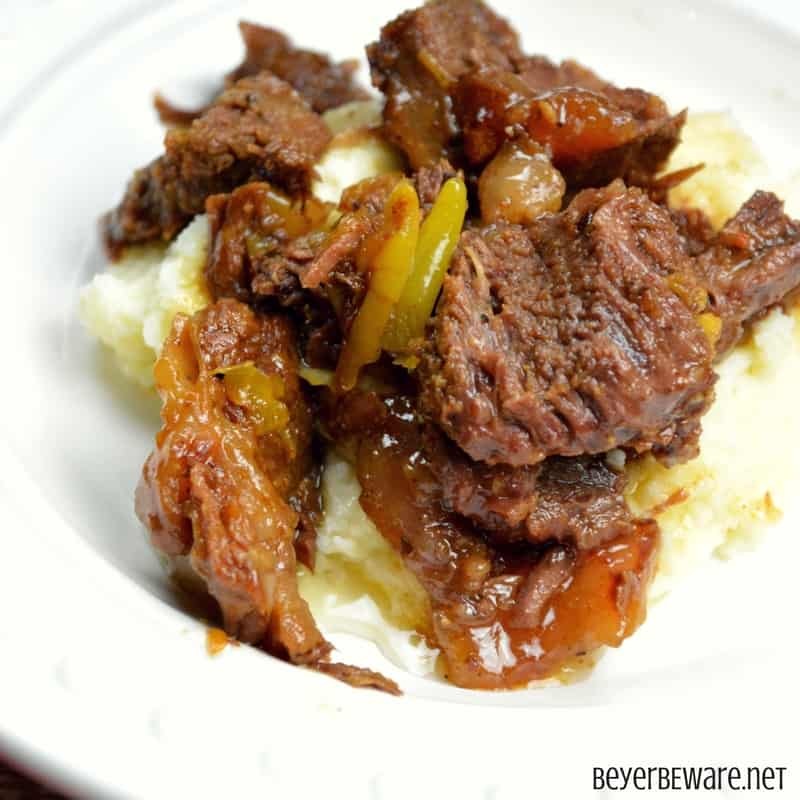 All you need is 5 ingredients to make this succulent, tender and flavourful butter beef in your Instant Pot. 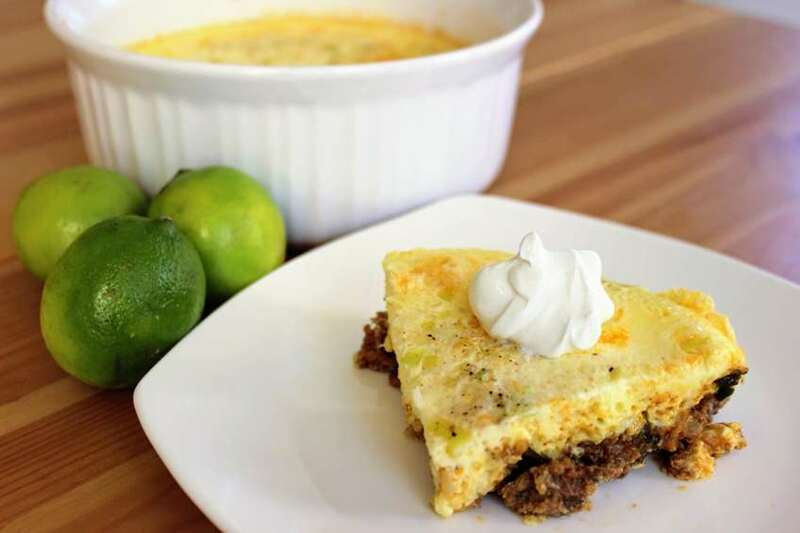 The best part is that this is a great recipe to make on the keto diet while losing weight! Looking for more low carb instant pot recipes? Check out these amazing cookbooks so you never run out of recipes for your instant pot again! 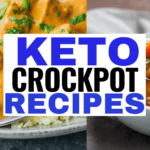 You can literally find thousands of keto friendly instant pot recipes in these cookbooks. Who says that you only have to stick to these 25 recipes here. Once you’ve made them, head over to the cookbook to find more yummy meal ideas you can make on the keto diet. Eating good food doesn’t have to be a myth on the keto diet. Eating good food that takes less prep time sure isn’t. With a handy instant pot, you can make just about anything you desire with less work and time spent in the kitchen. Can you image preparing hundreds of delicious soups, stews, desserts, chicken recipes and so much more in your Instant Pot while you’re losing weight? Now you can do it. 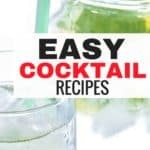 With this massive list of easy to makes recipes, plus the handy cookbooks listed here you can be in Instant Pot heaven while enjoying your food on the keto diet and losing weight! It’s easy! 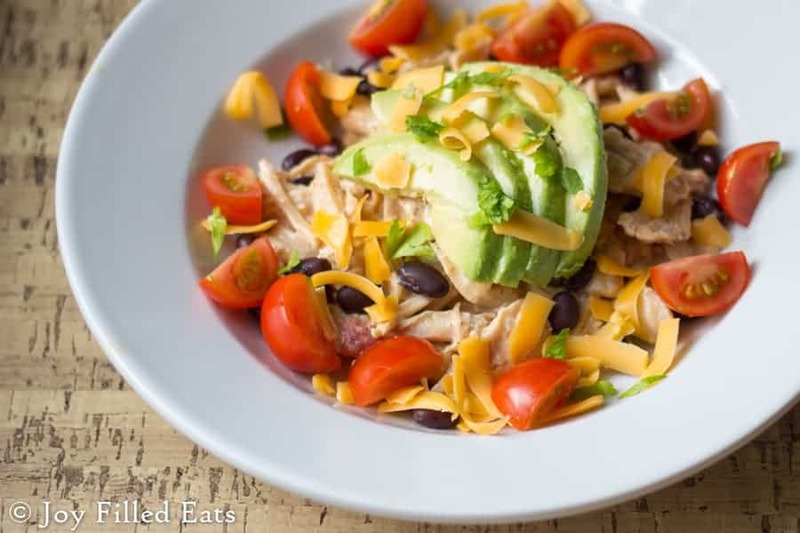 All you need is a handy Instant Pot, some recipe ideas and you can be enjoying these great tasting keto recipes in no time. Plus, these recipes taste amazing so your family can enjoy them with you too! NEXT POST Next post: Bullet Journal Doodles: 24 Amazing Doodle Ideas For Beginners & Beyond!